m-e-s-h-f-o-r-u-m, which is hosting its second annual all-comers network conference, this time on network visualization, May 7-9 in San Francisco. v-i-s-i-u-a-l-c-o-m-p-l-e-x-i-t-y, the wonderful visual resource compiled by Manual Lima, who will be a guest of honor at MeshForum. BTW, network visualization is one of my favorite topics. You can peruse my postings about it relatively effectively here. Aldo Castaneda produces "The Story of Digital Identity," a weekly podcast in which he interviews various personalities in this rapidly emerging field. Somehow my name slipped into his schedule. The result is this twenty-minute interview featuring my ramblings on social capital, bridging, bonding, SNA, digital identity, and why we are at a(n) historical crossroads in the interplay between organizations and technology. I am still glowing (in an exhausted kind of way) from Creating Space VII--the annual meeting of the Leadership Learning Community (LLC), which was Wed-Fri last week in Durham, NC. Many, many thanks to Claire Reinelt (Research and Evaluation Director at LLC) for inviting me into the work of this community. As part of our presentation on leadership networks, Claire and I shared the following list of resources. I'd especially like to highlight our Leadership Network Annotated Bibliography, which includes a link to our leader network online survey template, which you are free to copy and adapt for your own use. 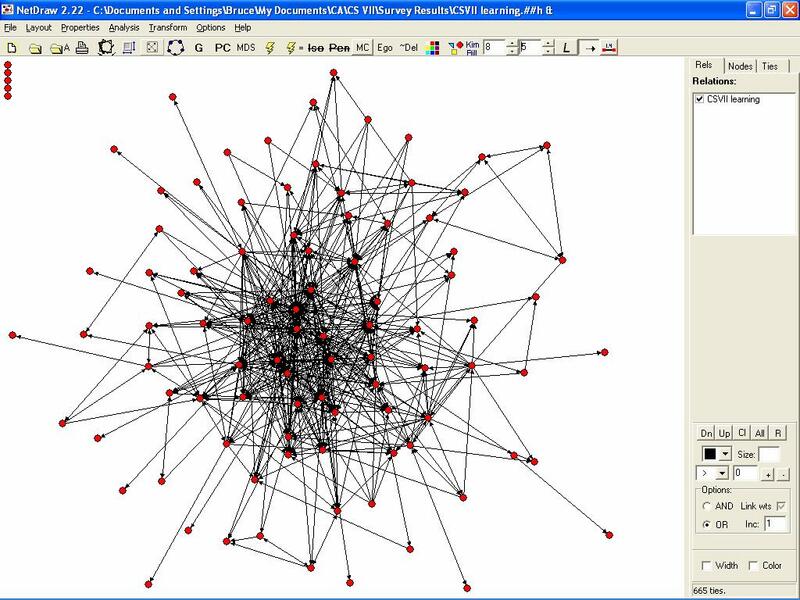 Online Network Survey Utility. A free template you can adapt to create and administer your own online social network survey. 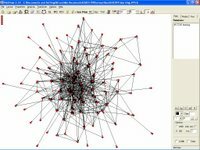 Organizational Network Analysis Community of Practice. A community of professionals who share ideas on improving organizations and communities with social network analysis. Building Smart Communities Through Network Weaving. 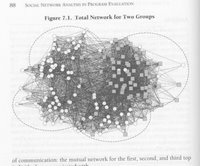 A good introductory case study by Valdis Krebs and June Holley that introduces the process of community network-weaving, based on work with the Appalachian Center for Economic Networks. Lawrence Community Works: Using the Power of Networks to Restore a City. Another good case study, by Peter Plastrick and Madeline Taylor. The story of how this organization in an immigrant city north of Boston connected, networked and developed the leadership of residents to become change agents in their community. "Leading Between: Leadership and Trust in a Network Society" by Paul Skidmore. An overview of six characteristics demonstrated by successful network leaders. "Social Capital of Twenty-First-Century Leaders" by Daniel Brass and David Krackhardt. An introduction to social capital and its role in effective leadership, including a guide to the “strong tie” and “weak tie” strategies. 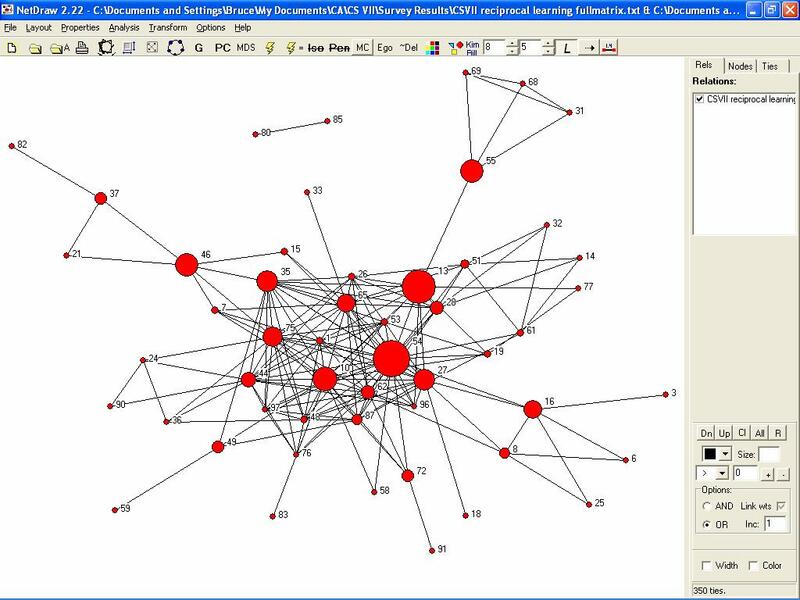 UCINET is the most popular and full-featured system for social network analysis. It is a comprehensive system designed by academics for academics, with a very steep learning curve that can easily discourage novices. It costs $250. UCINET has a healthy (and quite technical) users group. NetDraw is the visual interface to UCINET. 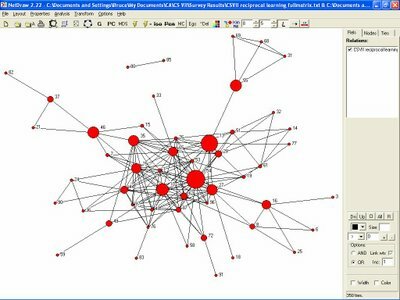 It is quite useful as a stand-alone network analysis tool, very easy to use, and completely free. InFlow is another user-friendly SNA software tool. It is designed with business professionals in mind who do not want to sift through unnecessarily academic features. It costs $995. NetMiner is designed for exploratory visual analysis. If you ask who are the key players in an organization, NetMiner draws an interactive picture highlighting them, whereas other packages give you numerical rankings. NetMiner is full-featured like UCINET, with a learning curve just as steep. It costs $950.